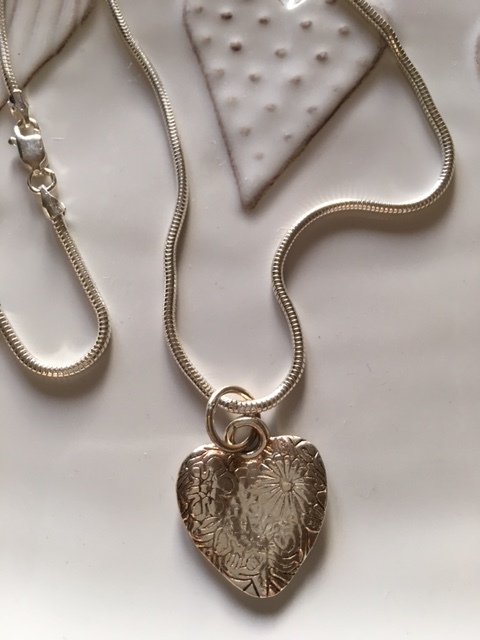 A fine silver floral textured and tactile heart on an 18 inch snake chain. Hallmarked by the London Assay Office. The heart measures approximately 2 cms by 2.5 cms.